It’s confirmed, we’re back and we’ve not got much time! 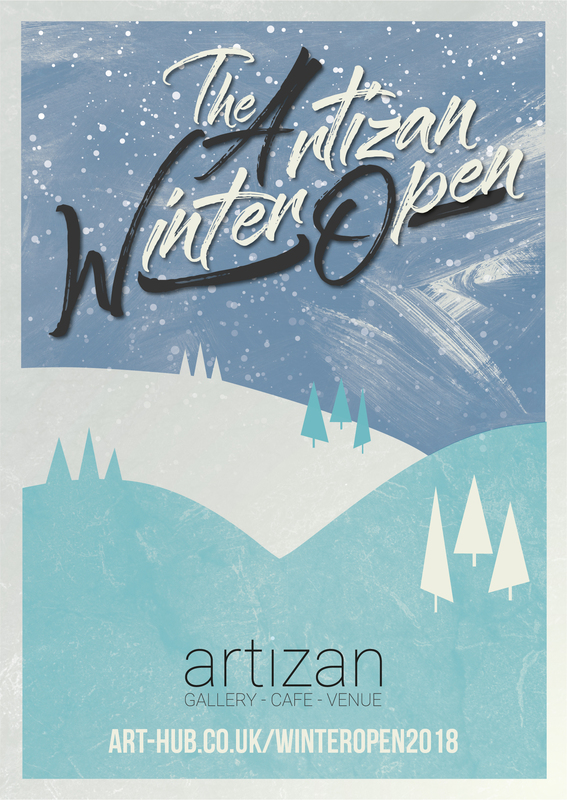 The Artizan Winter Open is officially here, and we’ve got the privilege for the second time in 2018 of being sponsored by the Edinburgh House Estates team and the Fleet Walk Management Group. As such, for our annual festive show, we’re back on the high street! For those who are not aware, we secured a large unit on the lower level of Fleet Walk over the Summer for use as a “pop up” venue and it is this same venue we’ll be hosting our Winter Open from. The space is towards the harbour situated amongst other occupied high street premises including high end retailers and lifestyle brands. We’ll be running the space as a “pop-up” with access until the end of 2018. As we were in there over the Summer, the space is fully ready to go, now all we need, is your submissions! 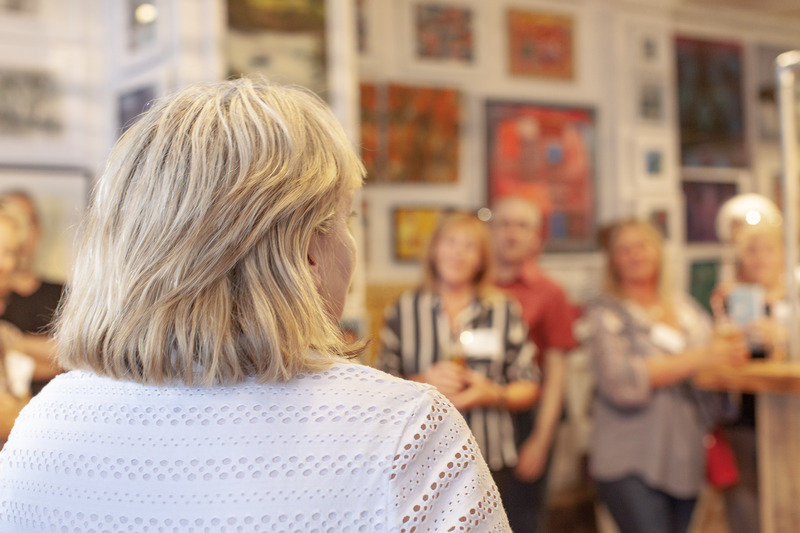 This is a great opportunity to display multiple artists’ during the festive season and we will be seeking submissions from artists across the South West and beyond to take part. 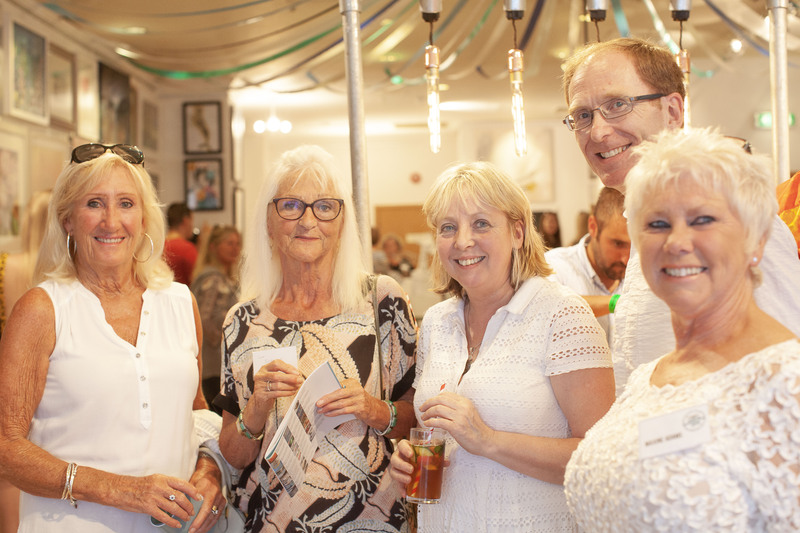 We anticipate that this will be another major event on Torbay’s Cultural Calendar, rounding off an exceptional year for visual arts on the English Riviera. Once again, we’re at the heart of the town centre, in a prime position to recognise the importance of our local creative talent. 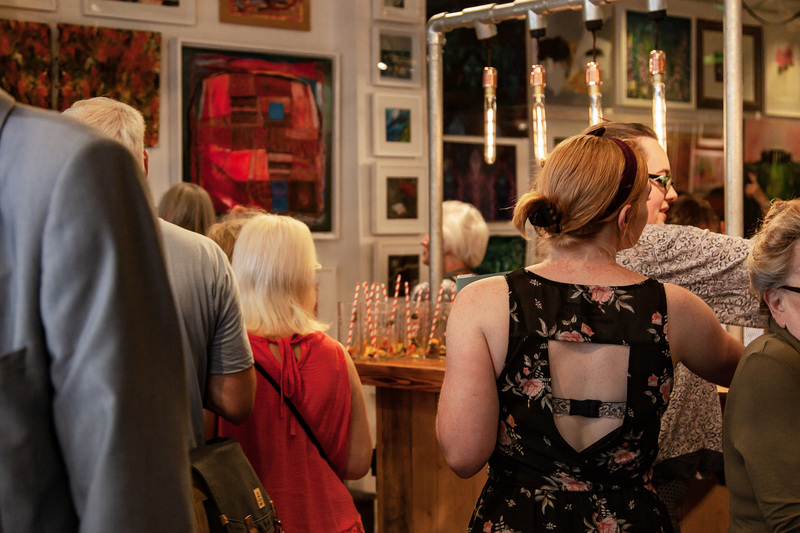 As before, we’ll also be inviting national and international artists to submit work, welcoming creatives from further afield into the Bay to demonstrate its value as a place to show and exhibit. We recently became an Associate Partner of the English Riviera Geopark and will be working to celebrate the unique importance of this recognition for Torbay. Works which reflect on the sites and landscapes of significant geological significance which comprise our Geopark will be welcomed in this category. For more information on the Geopark visit http://www.englishrivierageopark.org.uk. Artists who submit under this category will also have the chance to be selected as Geopark artists. For more on our work with Geopark artists and examples of previously selected Geopark work visit https://www.art-hub.co.uk/englishrivierageopark. If you are an international artist, we are also interested to hear from creatives influenced by other worldwide geoparks. As simple as it sounds, works under £300 including commission will fall into this affordable category. All other work can be submitted outside of these categories as part of the general open. Works can only appear in one of these categories. With limited time we’re going to be selecting works on a slightly different basis. Submissions will be confirmed on a rolling basis reviewed by a panel at the end of each week between now and the launch of the exhibition. Reviewed work will be based on a weekly cut off every Friday at midnight, with a weekend review by the Artizan team and a different guest judge joining each week. Delivery of Work: Works can be delivered after selection with a final deadline of November 13th. Work must be delivered to the venue on Fleet Walk. Until the start of the Winter Open we will be running the space on flexible opening hours so it is essential that you book your delivery window with us. Collection of Work: Work will be available for collection in January 2019. Dates TBC. Artists may submit up to 6 pieces for consideration. Artists may submit 2D or 3D works to the show. Successful artists may be invited to display browser pieces at our discretion. 2D works will be no more than 80x80cm. However, works larger than this will be considered as two pieces and will be charged as such. All works must be framed to a high standard and mounted with d-rings for display. Half width canvases must be presented in a box frame. Special display arrangements may be made but any requirements must be made known at the time of submission. 3D works will stand no taller than 100cm high and have a footprint of no wider than 60x60cm. Please note that for security 3D works will be displayed in the rear half of the space to minimise the risk of theft. We cannot accept submissions of jewellery to the exhibition. A low rate of 30% commission will apply to any sales. All accepted work will be listed on a dedicated exhibition page on our sister site www.art-hub.co.uk for sale online. Payments for sales will be made within 30 days of the close of the exhibition. Pieces cannot be sold elsewhere whilst they’re on display in the exhibition. If your piece does sell elsewhere it will be subject to our commission. Artists must complete the submission form in full. Artists must agree to our Terms and Conditions. Artist must accurately calculate and pay their submission fee in full to be considered for acceptance to the exhibition. Works cannot be removed during the exhibition unless sold. Sold works may be replaced for pieces of a similar size and style at the discretion of the Artizan team. All participating artists are expected to play an active role in the promotion of the exhibition. Subscribe to Art-Hub for an Artist Profile Page worth £30 pa for £10. Subscribe to an E-Commerce page with Artist Profile worth £150 pa for £65. Anyone is eligible for this opportunity and we encourage artists of all ages, abilities and backgrounds to submit work. The deadline for submissions is midnight 9th November. You can submit a maximum of 6 works. We will aim to be as flexible as possible with delivery and drop-off of work. If you feel the below details may prevent you from applying, please get in touch with us for assistance. The final deadline for delivery of work is November 13th. Collection of works will be in the New Year. Fees vary but start from as little as £10. For full details please see the opportunity description. Artists will have the ability to sell their work. Commission of 30% is taken on all sales with a percentage of this donated to Artizan charities and causes. There will be an Artist Preview event, the date of which is to be confirmed. Extensive promotion is carried out as part of the exhibition across a broad range of online, social and print platforms. We welcome enquiries if you require more information. Unless you have agreed to steward via an associated art society, you do not need to steward at this event. However, all artists are encouraged to attend the preview event and any stewarding will be promoted as a chance to meet the artist. 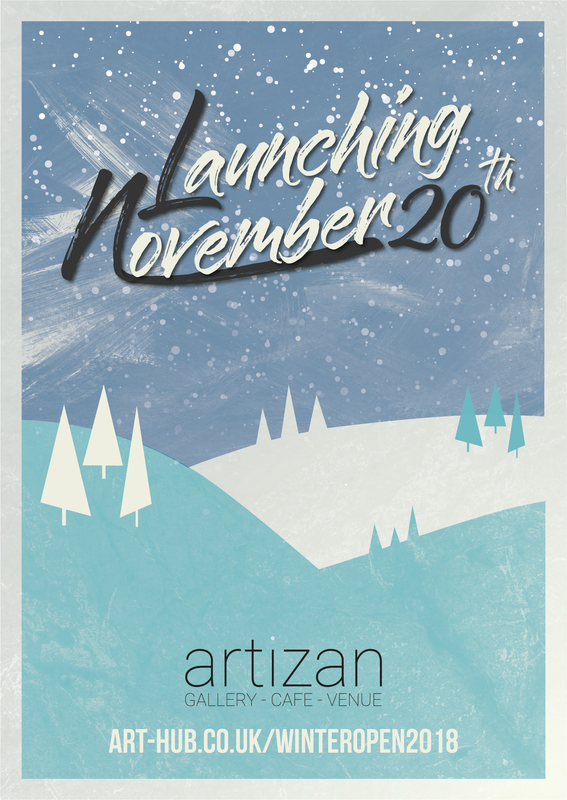 Submissions are judged by the Artizan Team and judges from associated art societies. If you're submission is accepted you will be required to meet all dates in the call. You will receive an artists pack with full details of your responsibilities and how to support the exhibition. What kind of works are you looking for? This is an unthemed open and any works can be submitted. Are there conditions of entry?